You’re moving! Congratulations. Your new home could be in a bustling metropolis, a quaint country haven, or 20 minutes away from where you live now in your parents’ house, where you’ve already lived twice as an adult and promised yourself you would never live again! The first step in moving is to evaluate the other things going on in your life. Experts say you shouldn’t experience more than one major life stressor at a time, and moving is one of them. Stressors can include breaking up, getting married, starting a new job, having a baby, beginning or leaving school, or a dramatic change in your financial state. You’re definitely not dealing with any of those things, right? Because if you’re moving and doing any of the other things, you’ll fail at all of them and get a chronic illness, like irritable bowel syndrome. And illness is a life stressor! Keep that in mind throughout your move. The amount of money you spent on it and its genuine worthlessness now. How little you actually used it despite your promises to yourself when you bought it. The loving moments that you and your current or former husband or boyfriend had within a 10-foot radius of it. How much your landlord will charge you if you leave it. How much weight you’ve gained or lost in such a short period of time (and weight gain, weight loss, or a change in eating habits are also life stressors!). Whether the people at Out of the Closet will make snide remarks when you donate it. How much your friends will judge you when they’re moving it. Now that you have your keep, donate, and sell piles… you made piles, right? Big ones? Seemingly insurmountable piles of everything you own? Good! Second-guess everything in each pile. Your future happiness is at stake if you keep too much, or donate the wrong things, or sell your possessions for too little. Now third-guess. The next step is to get some boxes. While you’re in the dumpster of your old high school finding clean-enough boxes, think about how much promise everyone said you had when you were 17. Walk past where your old locker was. Wipe a tear on it. 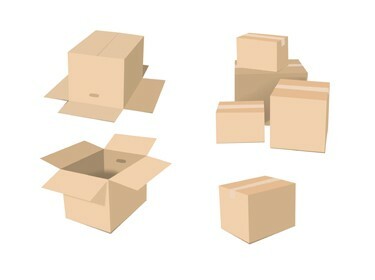 Three days before your lease ends, scramble up everything in the “keep” pile, wrap each item in newspaper so it gets nice and inky, and put it in a box that’s ½ inch smaller than it on all sides. Repeat for three days straight. Call in sick to your job if you have one, and think about how obvious your lie is because everyone at work knows you’re moving. On the very last night at your old place, don’t sleep. Sleeping makes you soft, and you need to be crabby and impatient with the people who are helping you move, because how else will they know that you’re serious when you say that the Malm dresser has a loose drawer front, Josh? OK, now it’s broken. At the end of moving day, when everything is out of your old place and so many more boxes than you could have ever imagined are in your new place, reward yourself for all the hard work you’ve done with food. Pizza and beer taste the best when you’re sitting on the floor of your now-empty apartment with your closest friends, your brother, and your dad (who bought the pizza) — all of whom are looking at you with irritation. You deserve a treat! After your landlord comes by and gives you a third to none of your deposit back even though you were counting on at least half, drive to your new place, but hit Burrito King first because you’re not going to be living anywhere near it anymore. Open up the front door of your new, or new-again, home. Put a beach towel on your bed, lie down in your dusty t-shirt and too-tight shorts, and know, on some level, you might one day regret everything you just did. Then, look up and see glow-in-the-dark stars that you put on your ceiling when you were 12, and thank yourself for not listening when your mom told you to take them down the last time you moved out. Justine Garrett is a writer living in Los Angeles. She will soon live in a different part of Los Angeles.